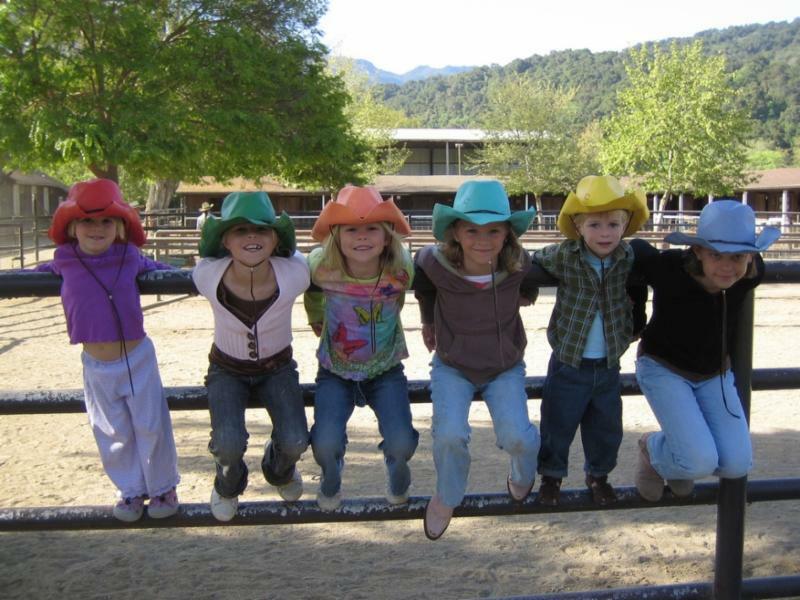 Saddle Up for St. Jude is a volunteer-based fundraising event to benefit St. Jude Children’s Research Hospital® through trail rides, horse shows or other equestrian events. In 2015, these unique luxury vacation and working cattle ranches are participating to host Saddle Up events to help St. Jude in this all-important battle of fighting childhood cancer and to save lives of thousands of children around the world. have helped push the overall childhood cancer survival rate from 20 percent to more than 80 percent and no family ever receives a bill from St. Jude for treatment, travel, housing, or food. Because of donations received through programs like this vacation ranch charity event, St. Jude has the freedom to focus on what matters most- saving kids regardless of their financial situation. At the Bar W Ranch, Whitefish, MT, guests can experience relaxing hospitality in the heart of glacier country. “We believe that families and children are the heart of the Bar W Guest Ranch, so it was just natural to want to donate five percent of each guest’s bookings to such a worthy cause,” said Catherine Gullickson of Bar W Ranch. The Rankin Ranch, Caliente, CA, established in 1863 and located in California’s Tehachapi Mountains, is a historic cattle ranch and vacation destination. The Rankin family has been raising cattle for over 150 years and is looking forward to celebrating their 50th guest ranch season in 2015. Today the 4th, 5th, and 6th generation Rankins welcome guests from around the world to enjoy a great western getaway on a working cattle ranch. They were compelled to donate five percent of their room revenue and additional money from any special events from this year to help the children. “St. Jude personally touches our family’s hearts as sixth generation, Walker Rankin, conquered childhood leukemia. We want to support St. Jude’s mission to find a cure and treat children with these devastating diseases,” explained ranch contact Amanda Rankin Barrett. The accompanying copyright-free photo may only be used to accompany publication of this news release. 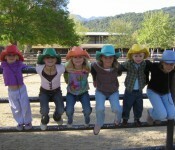 Photo courtesy Alisal Guest Ranch and Top 50 Ranches. For information about St. Jude Children’s Research Hospital® go to www.stjude.org. For information on how to host a Saddle Up for St. Jude event, call 1-901-578-1086or visit www.stjude.org/saddleup. About Top 50 Ranches: Top50Ranches.com is a resource for travelers worldwide, featuring a select collection of ranches that have met CEO Jody Dahl’s high standards. Dahl has established strict criteria of excellence for member ranches in the categories of hospitality, accommodation, activities and riding – all embracing the true rural lifestyle and cowboy culture. For more information go to www.Top50Ranches.com. About Equestrian Influence: Equestrian Influence (EQI) is a new multi-media platform designed around the equestrian lifestyle, both English and Western. EQI currently offers: on-line editorial features; event coverage; estate property sales listings; home décor with an equestrian flair; athlete sponsorship assistance; public relations and promotion, and equestrian radio programming. For more information about EQI go to www.equestrianinfluence.com, e-mail media@equestrianinfluence.com or call 888-632-0068 and select the “Media Division” extension 1. For more information about Alisal Ranch, contact Sherrie FitzGerald at sfitzgerald@alisal.com. For more information about Bar W Ranch, contact Catherine Gullickson at catherinegullickson@thebarw.com. For more information about Bonanza Creek Ranch, contact June Voldseth at bonanzacreekmontana@gmail.com. For more information about Rankin Ranch, contact Amanda Rankin Barrett at Amanda@rankinranch.com.